We are hosting our annual “Love at the Beach” Summer Wedding Festival on Sunday 20th January 2019, between 2:30pm – 5:30pm! 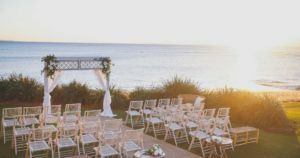 We would love to welcome you to the ultimate beach front wedding location with breathtaking views stretching up the Northern Beaches peninsula and to the Central Coast. Some of Sydney’s most loved wedding suppliers will be showcasing their talents and offering festival day specials. Come and enjoy live music, nibbles and drinks on us!